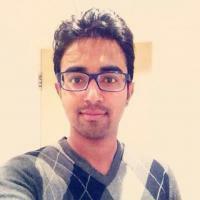 Siddharth Pandey – …on a journey to become an outlier software engineer! ...on a journey to become an outlier software engineer! How to build a custom Kafka Consumer application? How to build a custom Kafka Producer application? How to set up multi-broker Kafka cluster? How to set up Apache Kafka locally? How to test Pipes in Angular? How to configure Dependency Injection in ASP.NET Core application? How to conceptualize components in Angular? How to use Shared Web Workers in web applications? How to use Web Workers to speed-up web applications? How to use Microsoft Azure Redis Cache? How to Debug TypeScript Code in Browser? How to upload any file to Azure Blob storage service? When to use Dependency Inversion Principle in application? Siddharth Pandey © 2016. All Rights Reserved.